Will CD Projekt Red's Cyberpunk 2077 have microtransactions? No. Will it have a battle royale mode? No. Will its PC version be exclusive to the Epic Games store? No. All of the above news comes way of the game's official Twitter account, which made the slew of confirmations while interacting with various fans on the social media platform. Elsewhere on Twitter, the game's official account also revealed that there will be multiple companions in the game, including some female companions. That said, whether we'll able to choose from these companions to join us as we play or whether they will be locked-in to certain parts of the game, isn't clear. The latter is likely the case though. Of course, if you played CD Projekt Red's last game -- The Witcher 3: Wild Hunt -- you'll know it didn't have a companion system akin to games Far Cry or Mass Effect, but rather at different parts in the game, characters like Vernon Roche, Triss Merigold, and Yennefer would accompany Geralt for a bit. This is what presumably will be implemented in Cyberpunk 2077. As for no microtransactions, that will delight many, especially those who were worried that since the game would has some type of multiplayer component that it would add some type of microtransactions. And as for a battle royale mode, it seems obvious Cyberpunk 2077 wasn't going to have one, but these days, you can't assume anything. After all, battle royale games and modes are seemingly taking over. 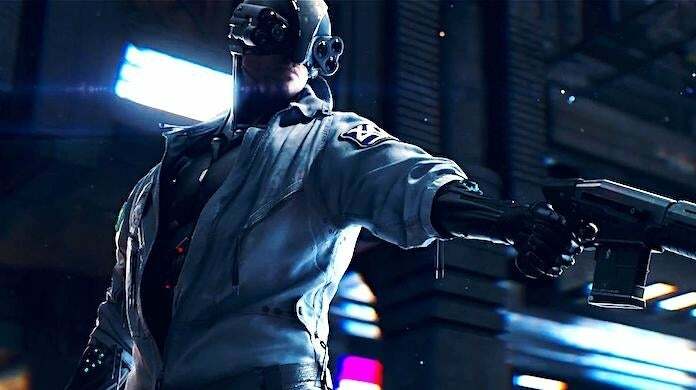 Cyberpunk 2077 is in development for PS4, Xbox One, PC, and possibly next-gen systems. At the moment of publishing, there's been no word of release date or even a release window. For more on the highly-anticipated cyberpunk game, be sure to peep all of our previous coverage of it by clicking right here.